We didn’t really know him. For most of his life, there were not many people that knew him. But we felt it, didn’t we? Do you remember where you were? I was sitting down, drinking with friends in my tux; enjoying a party when the news came through. The hubbub was suddenly met with a strange moment of silence before the festivities continued. With a glazed look in my eyes, I forced a smile and carried on. There are very few occasions when words are not enough. Especially for me, when sometimes words are all I have, it has been difficult to communicate what I need to say. So I am not going to this time. I am going to let the people, the ones closest to Madiba, tell it for us all – the South Africans. The video above is something I came across a few weeks ago that I am sure many of you will not have seen. With so much coverage of every part of Madiba’s life, wouldn’t it be nice to hear it from the people he gave his life for? It is the story of the car that was built by the workers of Mercedes Benz, as a gift to Madiba on his release from prison. They had never met him. They had never known him. All they had was his name and yet, they felt it. I haven’t seen many of the documentaries or tributes to Madiba over the past few weeks, neither did I spend time looking at the funeral or the memorial. Why remember the man that was, when what is more important is the legacy that lingers on? This legacy lives on through the people that he touched when he could not physically reach them. It lives as hope in the hearts of young people that are slaves to injustice, but without the maturity to realise their situation. The symbolism of forgiveness over vengeance saved his country from further bloodshed and heartache. It taught the world a lesson that it has since forgotten and South Africa falls under trouble again without its saviour. 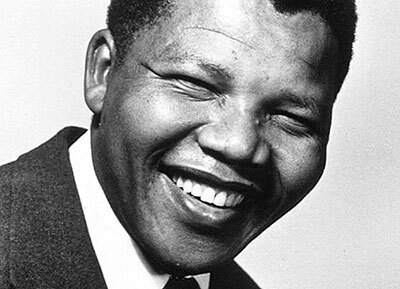 Now it is our responsibility to walk in the humble footsteps of a man that taught us to love, rather than feeding our hate…”because love comes more naturally to the human heart.” If you take nothing for the life of Nelson Mandela, affectionately and respectfully referred to as Madiba in this post, then learn this. We didn’t know him, but we knew what he stood for. And that most surely should be enough. Thats why south africa is now in such a great state now, because of his “Legacy.” I think you need to do more research into Mr. Mandela and stop jumping on the politically correct wagon you appear to be on. And I assure you. I am most certainly not on any band wagon.